So, you’re ready for your new arrival! The nursery is freshly painted, crib assembled, pictures hung, stuffed animals in place, baby clothes folded and put away…everything is ready for the wee one to make their place in your home. You’ve attended childbirth classes, got your breathing down and are all set for the big day. Your hospital bag is packed with all the essentials and by the door to make the dash to the hospital when it’s time. 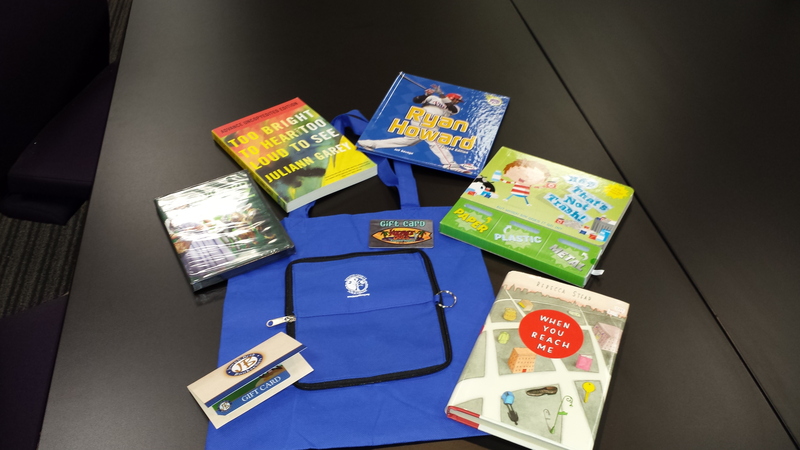 As a new parent the Kenton County Public Library has been an invaluable resource for my family. I prepared for my son’s birth by reading as many Childbirth/Pregnancy books as possible. 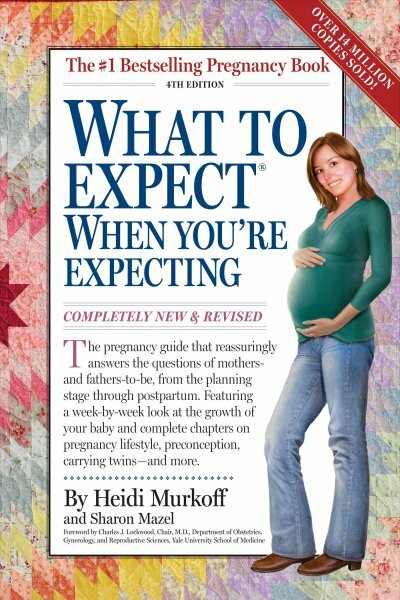 My favorites were the ever-popular What to Expect When You’re Expecting, and Pea In A Pod. 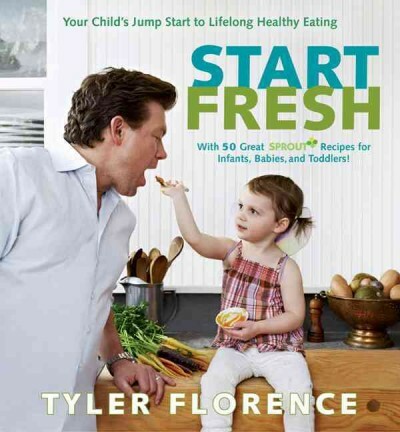 We make his baby food and have found many great recipes in baby food cookbooks especially Start Fresh: Your Child’s Jump Start to Lifelong Healthy Eating. It’s never too early to start reading up on parenting techniques. When we can find the time we enjoy taking him to baby storytime. It’s a great way for babies and their parents to be social, build comaraderie and instill a love of reading. Finding the time is the difficult piece but it is so worth it. Building baby’s first library is easy using this booklist; these books are great selections to read to your little one. The Kenton County Public Library has a selection of links for developing early literacy on our Pinterest page. Baby book recommendations are there too! A Round of baby blogs featuring all sorts of parents and philosophies. Family Friendly Cincinnati has great ideas about activities to share with children in Northern Kentucky and Cincinnati. The family oriented restaurant reviews and park reviews are especially helpful. This is the blog from 4C for children. Staff who are also parents share their adventures in parenting and their own early childhood expertise. The Bump has pregnancy information, baby advice and parenting tips with forums. Everyday Family is a community of parents with updates on baby’s development. Mom 365 is a community of mothers with forums on a variety of baby topics. 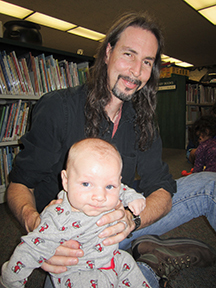 Stroll into your local branch of the Kenton County Public Library and discover all the library has to offer you and your new baby. Want to buy a book in 1900? Head to Carrie Mendenhall or Mrs. Wm. Metzger! 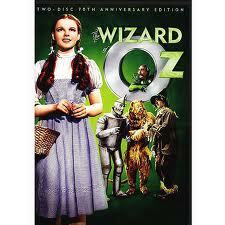 Researching the history of your house and curious about the former occupants? Or possibly searching for an ancestor that lived and worked in Covington from 1880-1889? A city directory, think phone book before the telephone, is a wonderful resource for genealogy and local history research. The directories, beginning in 1834 for Covington, contain an alphabetical listing of local residents and businesses. 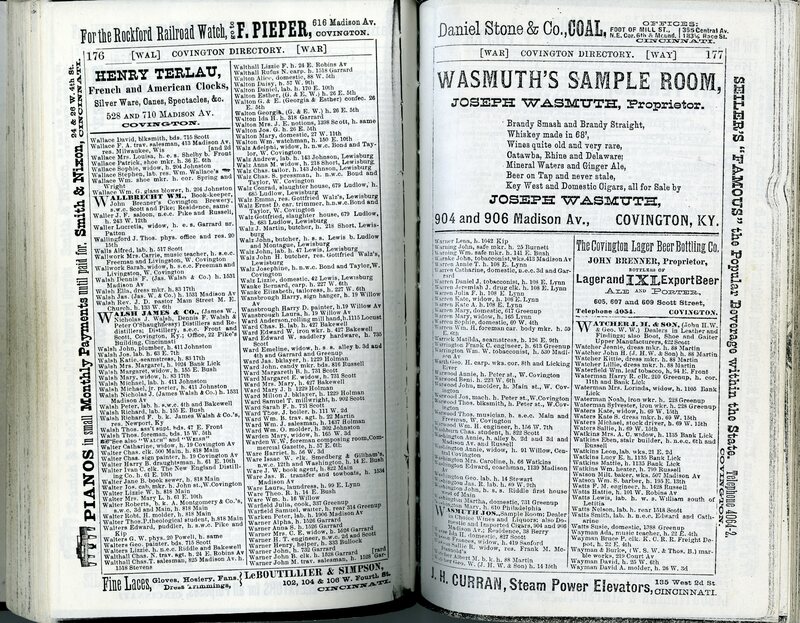 Later directories include separate sections for business, advertisements, and streets. City directories are particularly useful for genealogists and other researchers because not only do they list the head of household and home address, but often the first name of the spouse, other members of the household, occupation, and place of employment. In many cases, the directories note when an individual has been widowed and the first name of the deceased spouse. Want to know who lives in Jones Flats apartments? The criss-cross directory was a great way to look up your neighbors. A very useful section, which first appears in the 1931-1932 Covington City Directory, is the Directory of Householders or Street and Avenue Guide. This is a reverse directory that lists the streets alphabetically along with the location, intersecting streets, and the address and name of each resident. 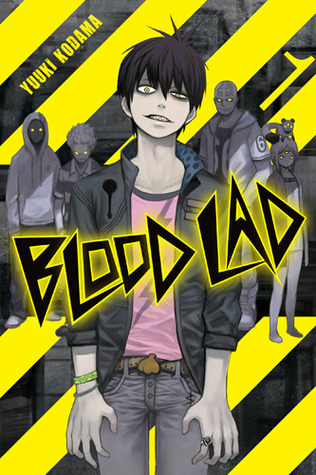 This is an excellent resource when researching a building without knowing the name of the former resident or business. Residents of Covington in 1886 had a wide variety of jobs for instance Jane B. Walter was a book sewer. 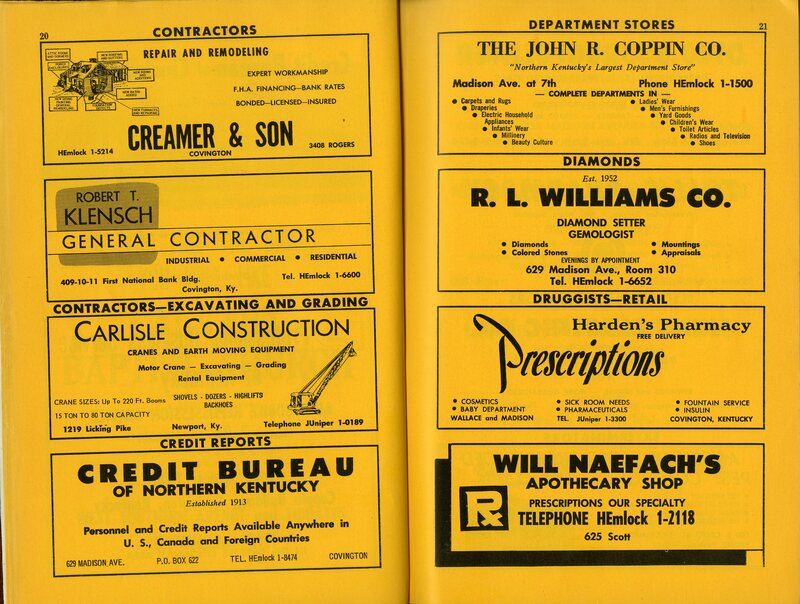 The business directory, later titled the “Yellow Pages,” is another great tool for researchers. The entries are classified by type of business rather than name. 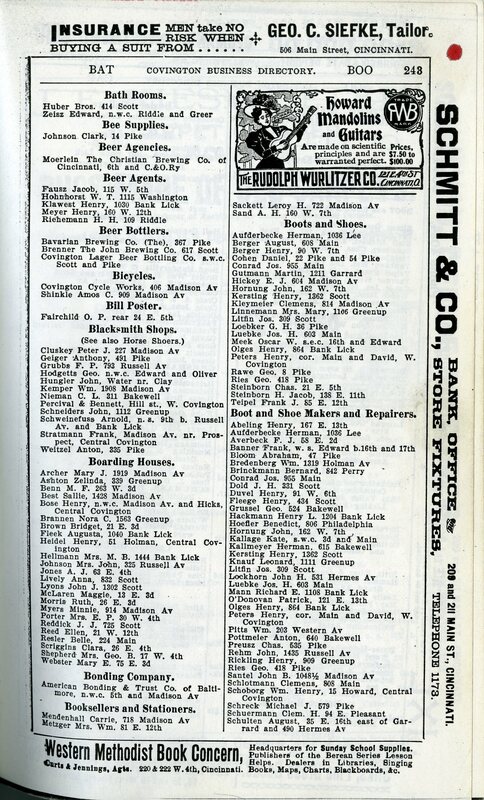 For example, the 1900-1901 Covington City Directory includes businesses under such headings as Bee Supplies, Bicycles, Blacksmith Shops, and Boarding Shops. This section is quite helpful when one knows the type of business, but not the name, or wants to see the type and numbers of businesses in a given time and place. Did you know Erlanger had 2 plumbers and 3 restaurants in 1931? Directories often have a City Guide section that provides detailed information on the community, local government, public officials, churches, newspapers, banks, parks, postal rates, and/or community organizations. This information can be used to create a portrait of the community where your ancestor lived. Style, color, images, and slogans were more popular in the Business Advertisements section of the Covington 1961 City Directory. The directories, in print and/or microfilm formats, can be found in the Local History and Genealogy Department. The collection currently holds directories for Covington, Newport, and vicinity for the years 1834, 1839-1840, and 1856-present. In addition, Cincinnati City Directories are available for 1902-1935 and 1956-present. 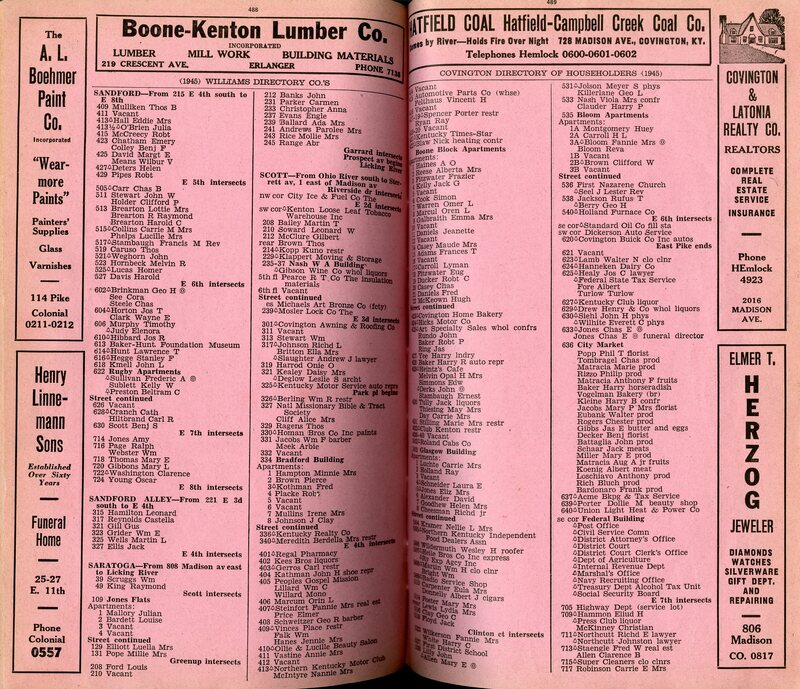 Various directories are available on microfilm for the following Kentucky cities: Ashland, Bowling Green, Corbin, Danville, Frankfort, Hopkinsville, Lexington, Louisville, Maysville, and Paducah. Ancestry.com, available by visiting the Library, has digitized directories for many U.S. cities, including Covington, Newport, and Cincinnati. 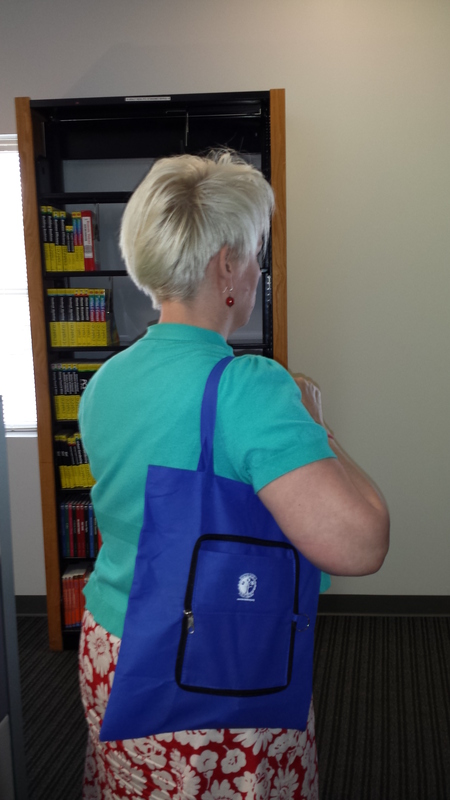 Visit the Covington branch to see how the city directories can help you unlock clues about your family or house!